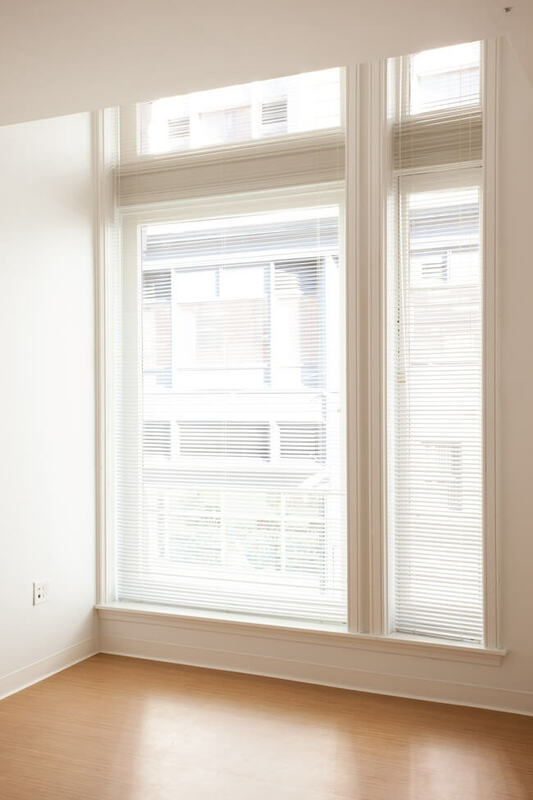 Architect: Chia-Ming Sze Architect, Inc. 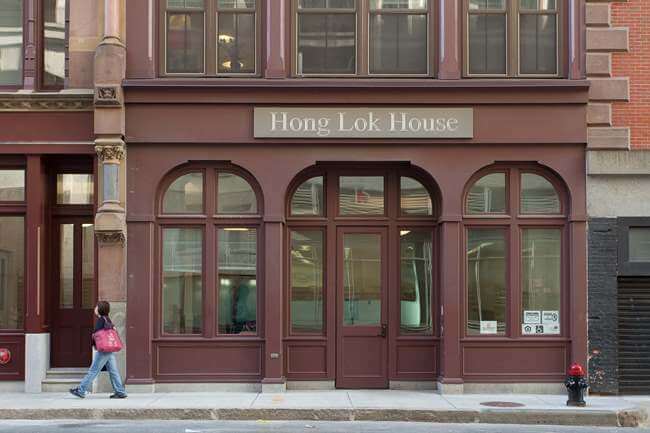 Although the original buildings occupying 11-31 Essex Street in Boston’s Chinatown were deteriorated beyond the point of saving, the Hong Lok House is a perfect example of the use of facadism to preserve the built environment of an existing neighborhood while facilitating the creation of new, modernized living spaces in the interior of the city block. Preservation of these existing facades were of increased importance to the Boston preservation community as they are part of the Liberty Tree Historic District, added to the National Register in 1980. 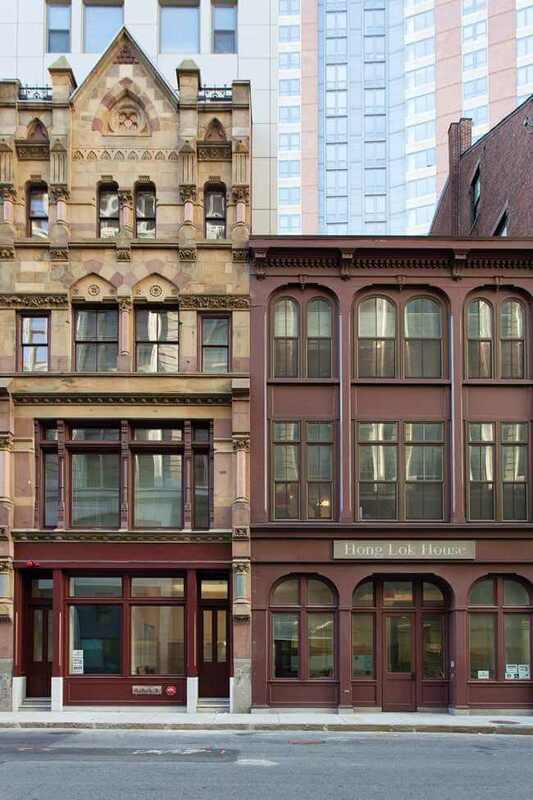 Two of the three unique 19th century storefronts—one Second Empire and the other an Italianate and the oldest wooden commercial façade in Boston–were removed, piece by piece, for off-site restoration of individual elements. The third, an eclectic blend of Richardsonian Romanesque and Moorish architecture, remained in-place during the construction of the new building behind it. At the first building in the complex, M&A restored, assembled and reinstalled the over 100 pieces of millwork and trim comprising the original 3-floor wood facade, making replica parts and pieces to replace missing ones, installing new replica windows and storefront, bringing back to use this historic wood commercial structure for a repurposed use. At the second building M&A restored all the windows and put in a replica wood storefront. 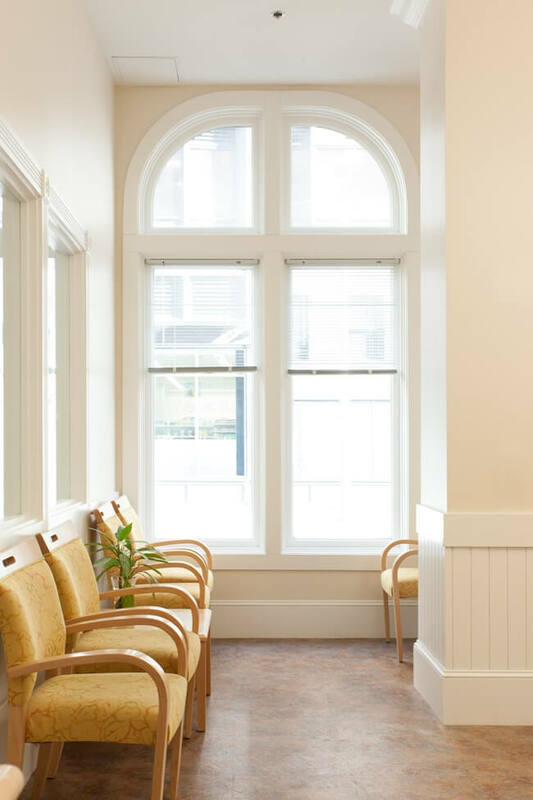 At the third building we installed all new replica arched windows and wood storefronts in the completely rebuilt stone façade. The Hong Lok House redevelopment was funded by both public and private sources, costing close to $37 million. The building is now home to 74 low-income senior housing units as well as community spaces. 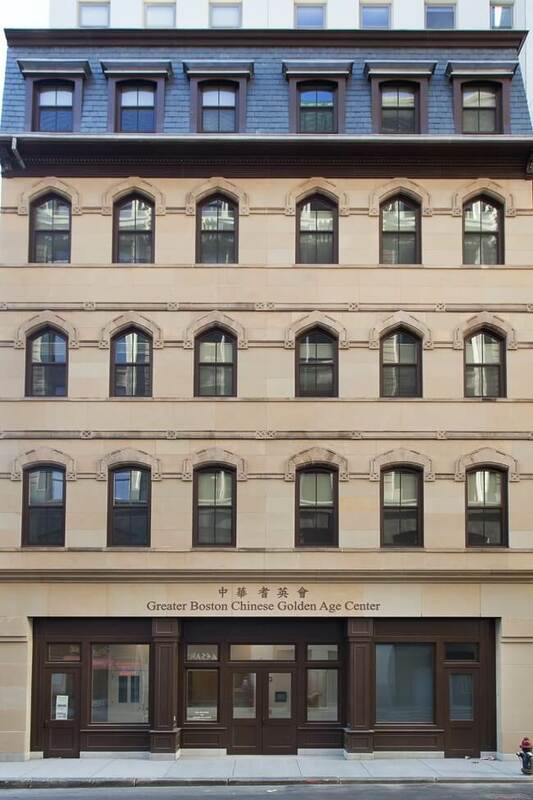 This project received a preservation award from Boston Preservation Alliance in 2015 for its preservation of the historic facades while providing much-needed housing for the community.